We Sharpen & Sell Cutters for the Wood, Plastic & Paper Industries! Resharp is located in Montrose, Pa. In the beautiful endless mountains of NE Pa. We are about 18 miles south of the southern tier of upstate NY. We have focused our attention on Susquehanna, Wyoming and Bradford counties in Pa., along with Broome, Chemung and Tioga counties in NY. We do not limit ourselves to those counties. It is currently our main focus. Resharp was started in the spring of 1995 by David Mack. 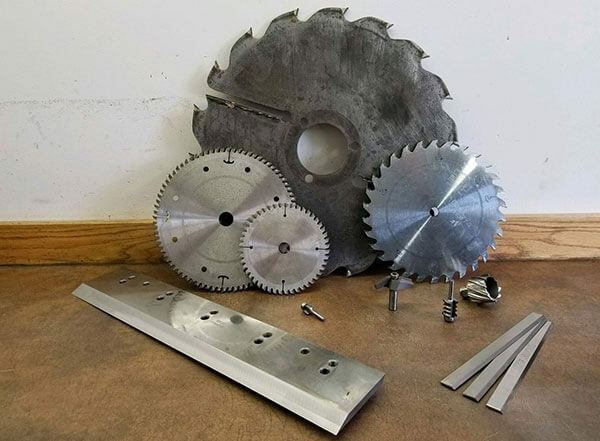 He started Resharp part time to primarily sharpen carbide saw blades and cutters for the wood worker. In August of 1997, he could not keep up with a full time job and Resharp. So after a lot of prayer and asking for wisdom from many friends, he decided to go full time with Resharp. Many of the customers we had then we still service today. At Resharp we don’t know it all, we don’t know everything. Many of our customers have taught us many things. We have learned how they like to do their work, and what works best for them. We like to listen to our customers so that we can learn what to do better for what they need. Most of them have become friends. That is a win for us. Today we sharpen and sell cutters for the wood, plastic, and paper industries. This includes production shops, cabinet and furniture shops, along with the home owner and DIY woodworker. To learn more about our services, call 570-278-2146.